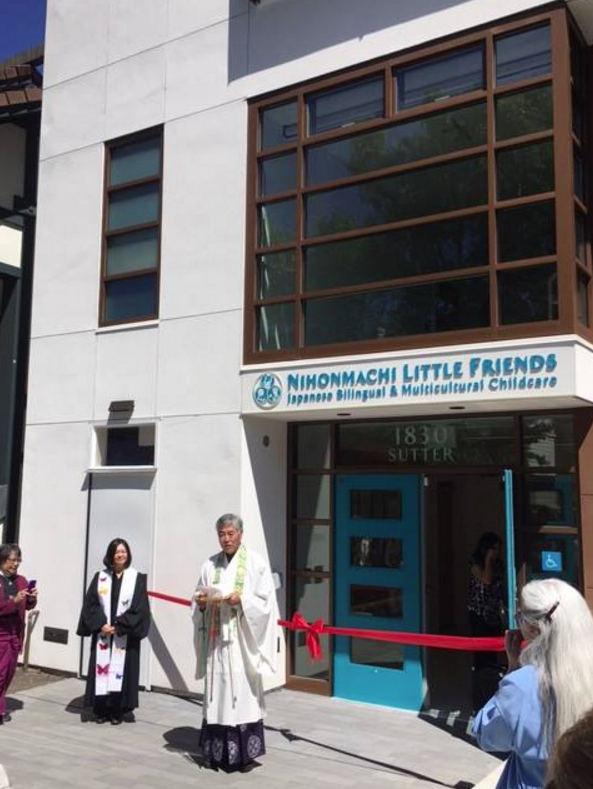 SAN FRANCISCO — Nihonmachi Little Friends (NLF) will hold an open house on Saturday, July 8, from 1 to 3 p.m. at its brand new preschool addition, located adjacent to its historic Issei Women’s Building at 1830 Sutter St. in San Francisco’s Japantown. The event will feature a reveal of the community donor board displays and guided tours of the new facility. Light refreshments will be served. In 2012, NLF launched the Plant A Seed Capital Campaign (PASC) to create the preschool addition, which, along with the Issei Women’s Building, is the permanent home for its preschool programs. The addition increases the programs’ maximum capacity from 80 to 91 children, and features a rooftop playground and a garden. The new facility officially opened its doors to the preschool children on May 22, and the responses from the children and their families have been very positive. Fundraising for the new building addition is continuing, with two additional events planned: the Big Steps for Little Friends 5K Run/Walk on Sunday, Oct. 22; and the Sushi Social/42nd Anniversary of the agency at its new facility on Friday, Nov. 17.